ZK Cabrio lenses series feature an unique detachable servo drive unit, making it suitable for use as a standard Cine Production Style or Broadcast Style. ZK2.5x14 is a wide angle zoom lens with a focal length covering from 14 to 35mm. Thanks to the detachable servo drive unit on the ZK series, the lens can be operated in the same manner as a traditional broadcast ENG-Style lens and accessories. 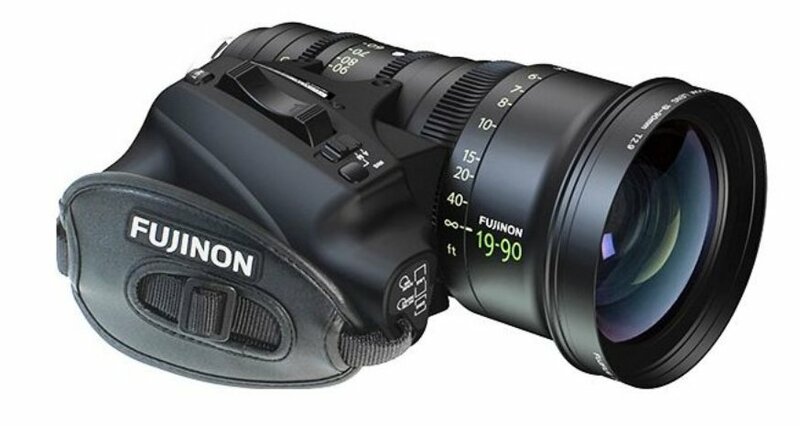 Furthermore, with the servo drive unit removed, traditional cinema manual, or external cine motors for zooming and focusing operation is also available for all models of this series. With the latest optical simulation technology and high precision large diameter aspherical elements, it has achieved both high optical performance and a lightweight compact body of 2.9kg. Thanks to high resolution from the center to corner, high image quality without image distortion will be exhibited on the large screens of movie theaters. ZK4.7x19 is a stamdard zoom lens with a frequuently-used focal length covering from 19 to 90mm. Thanks to the detachable servo drive unit on the ZK series, the lens can be operated in the same manner as a traditional broadcast ENG-Style lens and accessories. 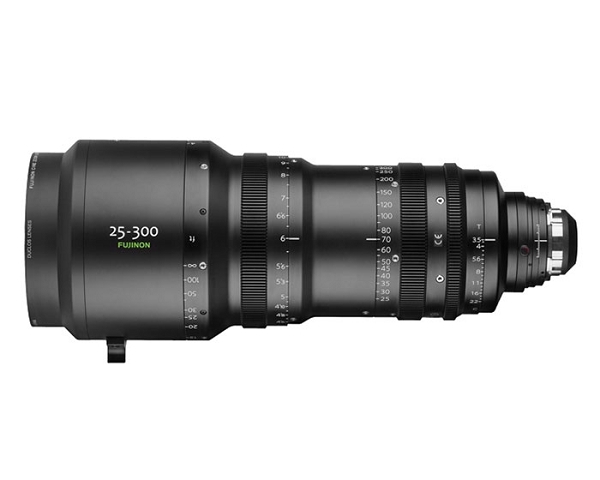 Furthermore, with the servo drive unit removed, traditional cinema manual, or external cine motors for zooming and focusing operation is also available for all models of this series. With the latest optical simulation technology and high precision large diameter aspherical elements, it has achieved both high optical performance and a lightweight compact body of 2.85kg. Thanks to high resolution from the center to corner, high image quality without image distortion will be exhibited on the large screens of movie theaters. ZK3.5x85 is a telephoto zoom lens with a frequuently-used focal length covering from 85 to 300mm. Thanks to the detachable servo drive unit on the ZK series, the lens can be operated in the same manner as a traditional broadcast ENG-Style lens and accessories. Furthermore, with the servo drive unit removed, traditional cinema manual, or external cine motors for zooming and focusing operation is also available for all models of this series. The all-new ZK12x25 offers the industry-leading zoom ratio of 12x to cover the most frequently-used 25mm wide angle to 300mm on the telephoto end. With its advanced optical performance supporting 4K cameras, the lens delivers a premium image quality across a versatile range of shooting scenes. The ZK12x25 also supports an optional detachable drive unit for electric zooming, focusing and iris. Mounting the drive unit enables the remote control of zooming, focusing and iris adjustment. 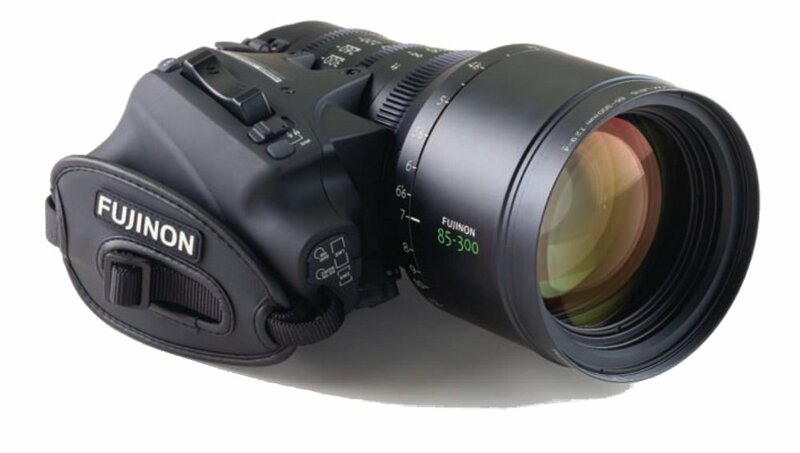 The availability of the Zoom Rate and Focus Position Demand controls means the lens offers the operability equivalent to conventional TV camera lenses.